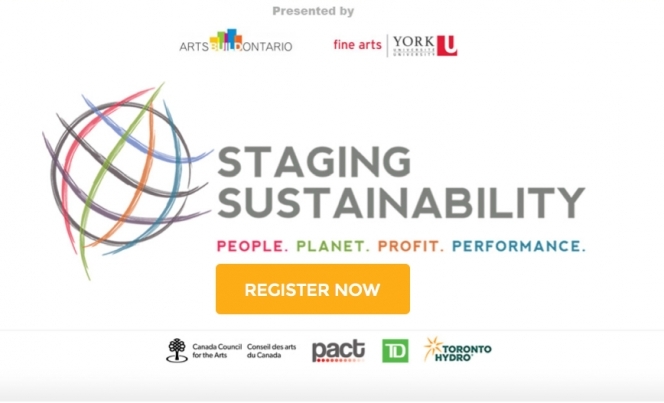 Staging Sustainability 2014: People. Planet. Profit. Performance will be an international conference from February 2-5, 2014 hosted in downtown Toronto venues — 99 Sudbury, The Theatre Centre, the Great Hall. More information under Staging Sustainability.